Facebook has just announced a change in how users will see posts through the news feed. A recent blog post from Facebook says the social media giant is looking to strike a balance between news business pages and posts from their friends and families. There are three major news feed updates announced earlier last week. Facebook is now relaxing the rules around multiple posts from the same source in a row. With these new rules, users can access a larger pool of content through their news feeds. This is definitely a positive piece of news for businesses. Many businesses often space out their Facebook posts to try and maximize the reach. Now, companies that post more frequently should expect to see higher reach and impressions numbers than before. Photos, videos, status updates, and links shared by your friends are much more likely to be higher up in the News Feed. According to the article, you can still see news and posts from other businesses, but ones from people you know will be greatly prioritized. Unfortunately, this is very bad news for business pages. We’re fully expecting reach numbers for business organizations to start dropping, but it’s not immediately clear how much damage will be done. Facebook will start to hide posts their friends have liked or commented on. News articles, photos, or statuses that have been “liked” by your friends will now appear far further down. This will have a negative effect on your business page, unfortunately. Even if your followers “like” your article, there’s no guarantee that it’ll actually increase its reach. If anything, it may even decrease the total number of people who will see it! Organic reach for business pages has been taking a merciless beating over the last few years. 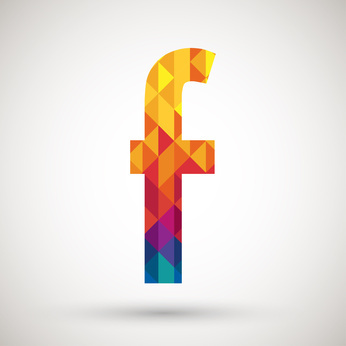 Experts estimate your average Facebook post is only shown to around 2% of your total followers. With these news feed changes, we fully expect that number to fall even lower. There are two ways to counteract this update and keep your articles well read. In the end, these changes boil down to a numbers game: each individual thing you post on Facebook may not reach a huge audience, but you can make up for it by increasing the number of post you make per week. Not every post will be a winner, but you’ll be able to keep your reach and engagement levels high.